About three months ago, Ryan wanted something different in is his life. He was looking for that “city vibe,” so he moved downtown and settled on a place on Washington Avenue. “I moved specifically because I wanted the urban experience and public transit was a part of that,” he said. Ryan is a junior at the University of Missouri – St. Louis. Each day, Ryan boards a Red Line MetroLink train at the Convention Center MetroLink Station and rides the train to the UMSL campus. Ryan is studying social work. After school, Ryan boards MetroLink to get to his job in the Central West End. To get there, Ryan takes the Red Line from the UMSL campus and gets off at the Central West End Transit Center. From there, it’s a short walk to work. His public transit commute also allows him to save money on gas as well as be stress-free. 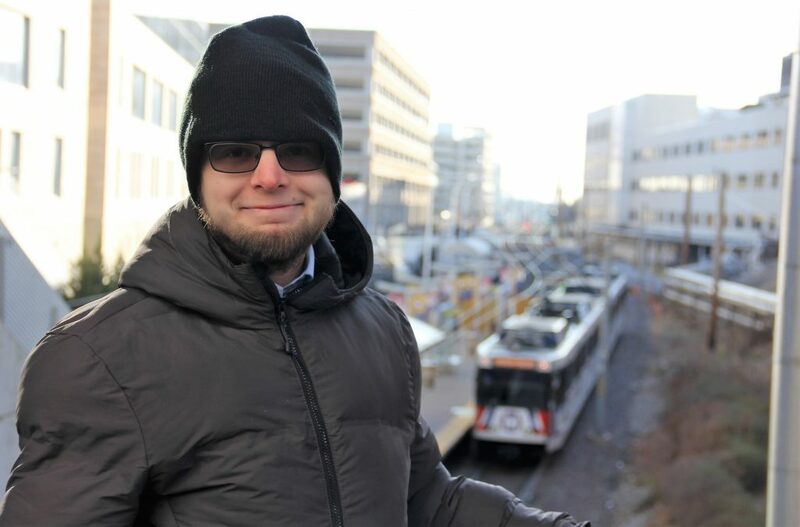 Ryan remembers feeling a little nervous when he started to put his public transit commute into full gear, but it became natural in a very short time. In addition to getting to and from school and work, Ryan uses MetroLink to visit the Delmar Loop and to Forest Park. He enjoys the benefit of not having to search for parking when he goes out, as well as several other perks his transit trips bring.